Well after years of complaining it looks like Multimap is no longer linked from the UK Bing page. Instead it links to Bing Maps directly. How it should have been. 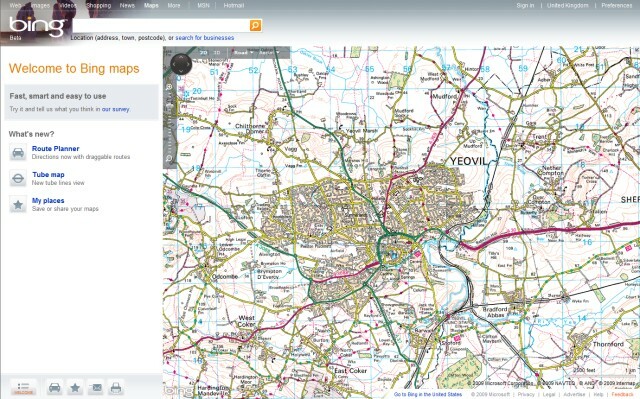 Best of all Bing Maps now have Ordnance Survey maps too, which previously only Multimap had. What's so cool about Ordnance Survey maps? You're not going to find the Hundred Stone, the old dismantled railway, old Roman villas or Jack the Treacle Eater on a "modern" map. You might find them on OpenStreetMap though!